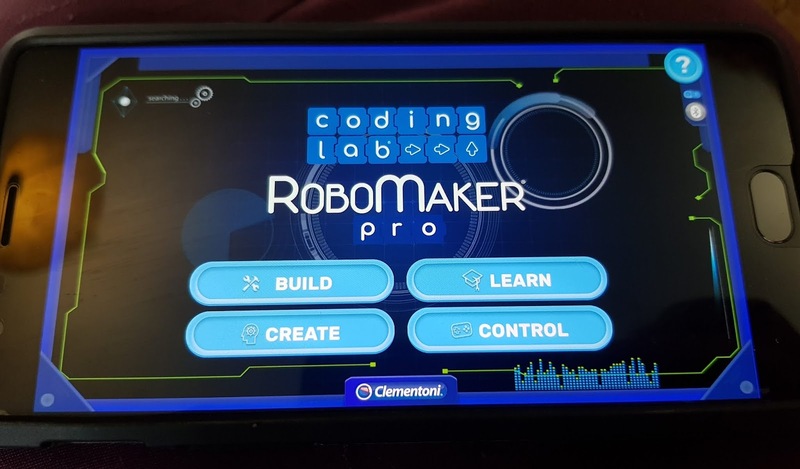 I spotted the RoboMaker Pro in the Toy Awards at BlogOn and it was one of the big toys that caught my eye. 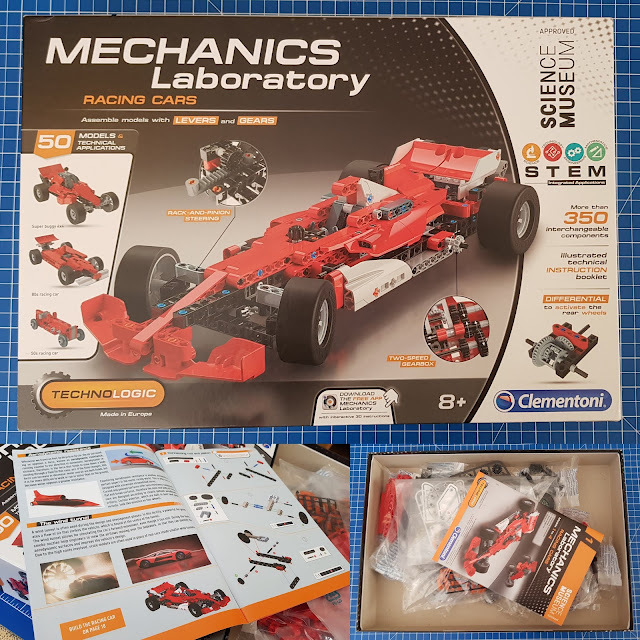 Clementoni construction sets are brilliant for encouraging STEM learning while having loads of fun. Cleverly there are instructions for 5 different models included, and they start fairly easy and become really quite complex. plus you can of course create your own models. Inside the box is everything you need except 4 x AAA batteries. Parts are still attached to the sprue, so you'll need 10 minutes to remove them before you first start. 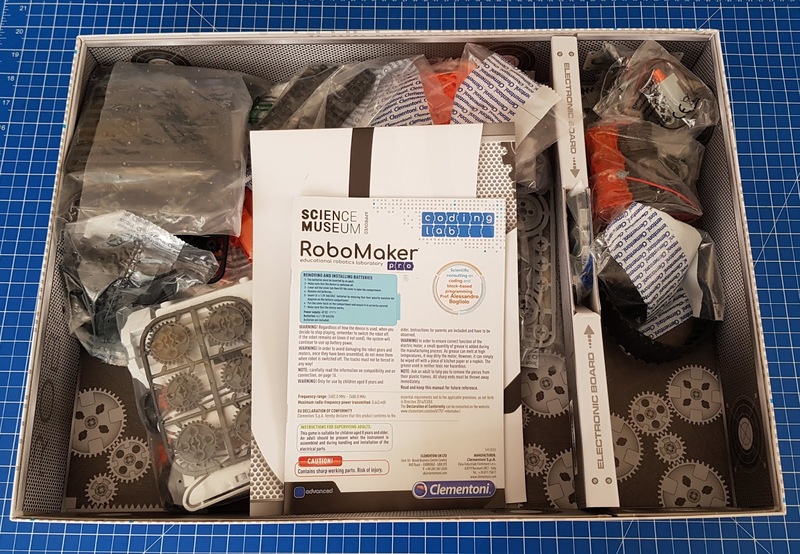 Included in the pack are 1 cybernetic brain, 3 electric motors, 2 IR sensors, 1 touch sensor, 1 speaker and more than 250 interchangeable components. It's a really big set for your money. The instructions for building your robot are online using an app. This isn't my favourite, I like a paper book, but it does allow 360degree vision and works very well. You can zoom in and turn around the model image to check you have everything in the correct place. 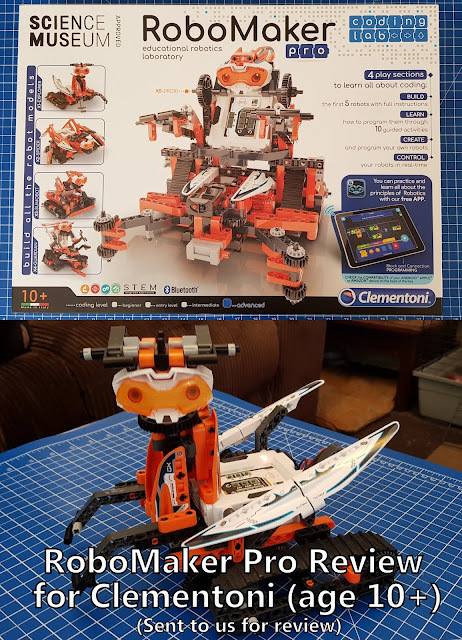 The build is actually quite tricky and my 10 year old found it hard to get started. I think there is a lack of obvious progression at first, so younger modellers need some encouragement as they can't 'see' their model coming together. You'll need a ruler - parts are nicely colour-coded for purpose, but there can be several lengths that are hard to separate without actually measuring them. The electronics are really neat and very user-friendly, with 'plug and play' connectors. When you come to attach the motors it says to look in the manual and we can't find it, but it was intuitive thankfully. That's the only 'error' we've found and it could just be that we are missing it. 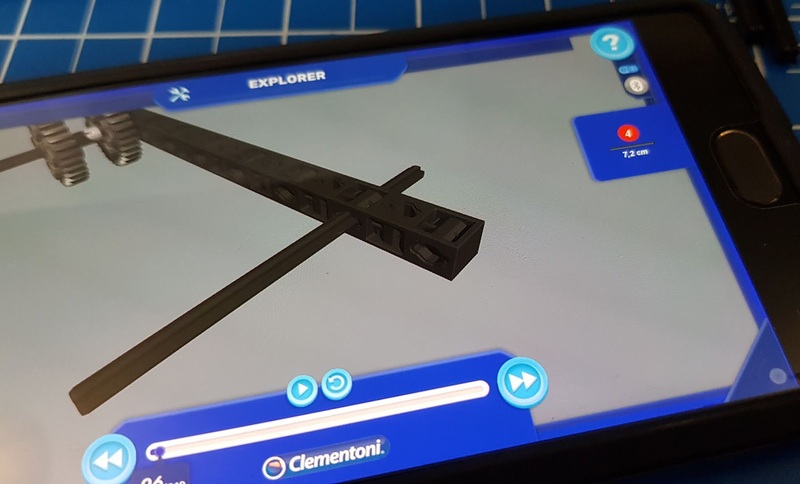 The construction is great and very sturdy, There are some obvious comparisons to other model systems and Clementoni have a few neat features not found elsewhere, such as keyed fixings and double sided struts. 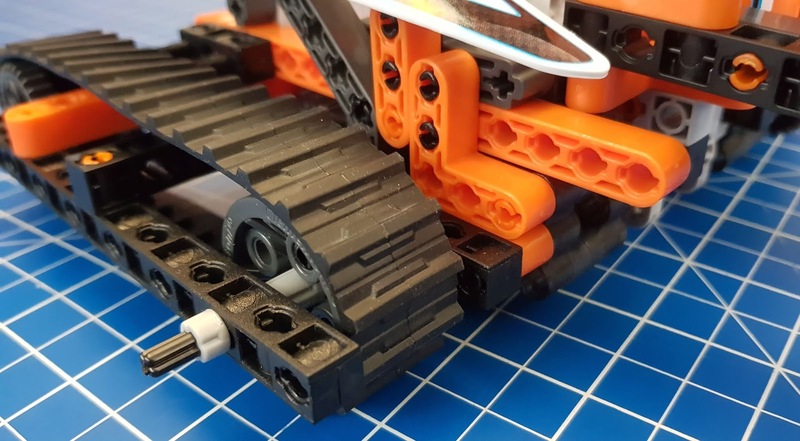 The materials are good quality and we've had no breakages or bends, but the plastic does have a few rough edges which can be a bit scratchy, so you might want to be careful as you remove parts from the sprue at the start. You can control your robot either via the app. or manually using the control panel. It's super simple and very easy to get to grips with. There's a lot of detail included and your child can easily programme more complex moves as they become more confident. 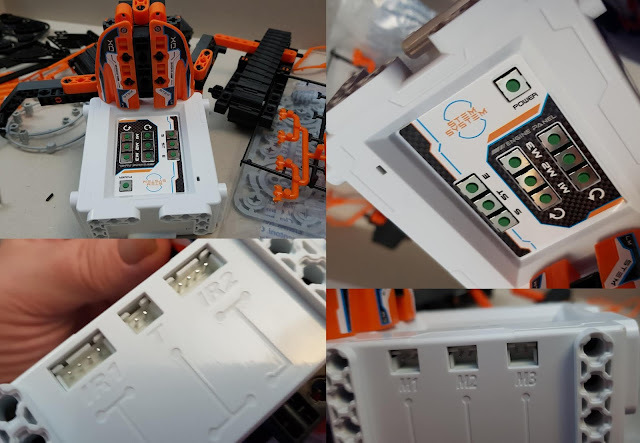 Because you have 3 different sensors and 3 motors, the world really is your oyster and working through the 5 models included will give your child an understanding of all of the features bit by bit. The 5th model X5-Droid can 'look' for colours and pick up and move boxes, but even the 3rd variant X3-Sumobot will move by following a line on the floor. The X2-Spider can behave as prey or predator and the X4-Guardian can look around and seek out intruders. We went for the easiest model first, X1-Explorer, which is a Preying Mantis style insect and actually very cute. He moves and talks in a proper droid voice, turning his head from side to side and endearing himself to everyone. 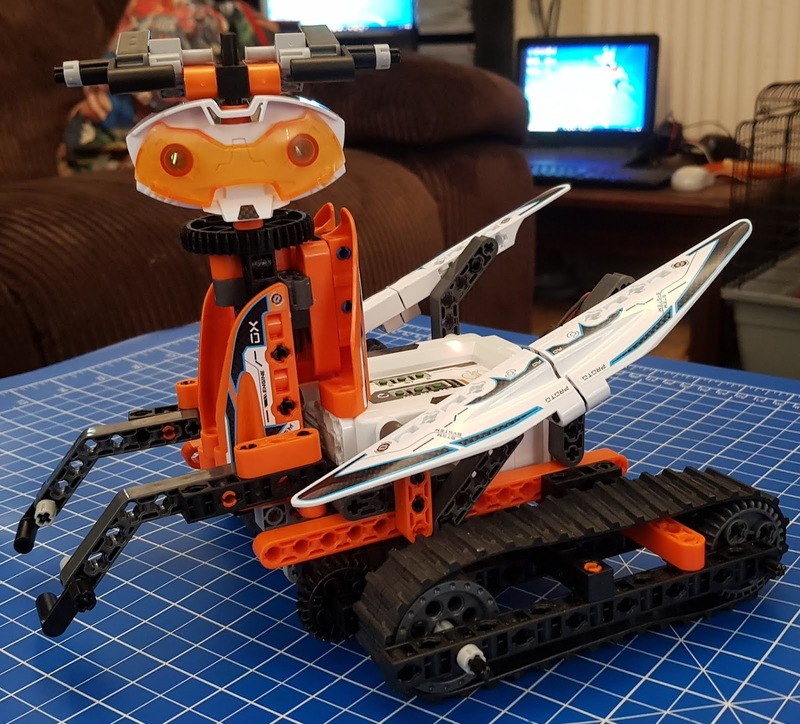 My partner was desperate to try out the line-following activity and adapted the X1-Explorer Mantis by adding sensors and removing some other bits. It took him only 10 minutes. He's 47, but it gives an indication of how achievable it is and how easy to work with. 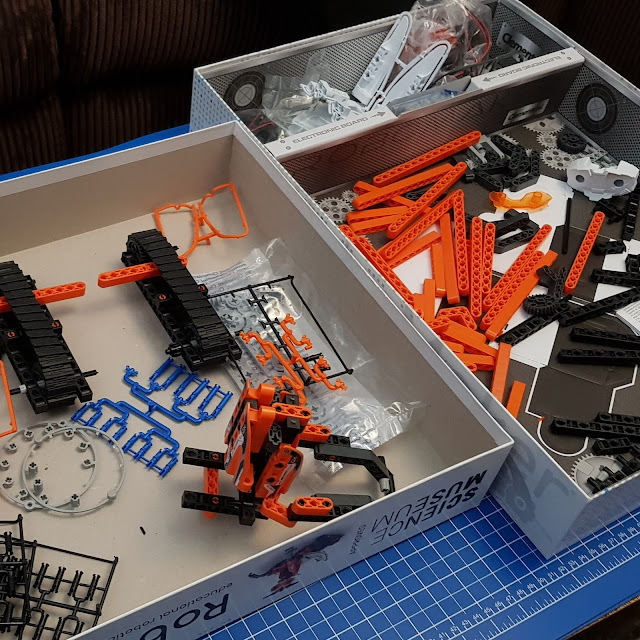 I think the more complex builds are more 14+ and your 10 year old may need assistance with even the stage 1 build first time. 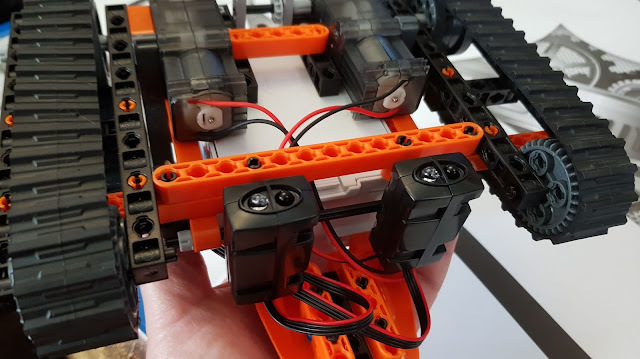 Once they get to grips with the build system and start to appreciate why sensors need to be in certain places they'll be far more able to build solo and they'll start to get their own ideas for what they can make next. The potential for this set is massive and there are so many exciting components that you really can make a multitude of different bots which perform a huge range of actions. The rrp is £69.99 and that's fabulous value for a set which offers so much. You can find out more about the whole range on the Clementoni website. Clementoni sets are available to buy now from all good toy shops instore or online, including Smyths and Amazon*. We've also been sent the Clementoni Science Museum Mechanics Lab Grand Prix Set, which retails at an incredibly reasonable £24.99 rrp and really again is amazing value for so much playability, learning and technology - expect to see more of this set at some point. 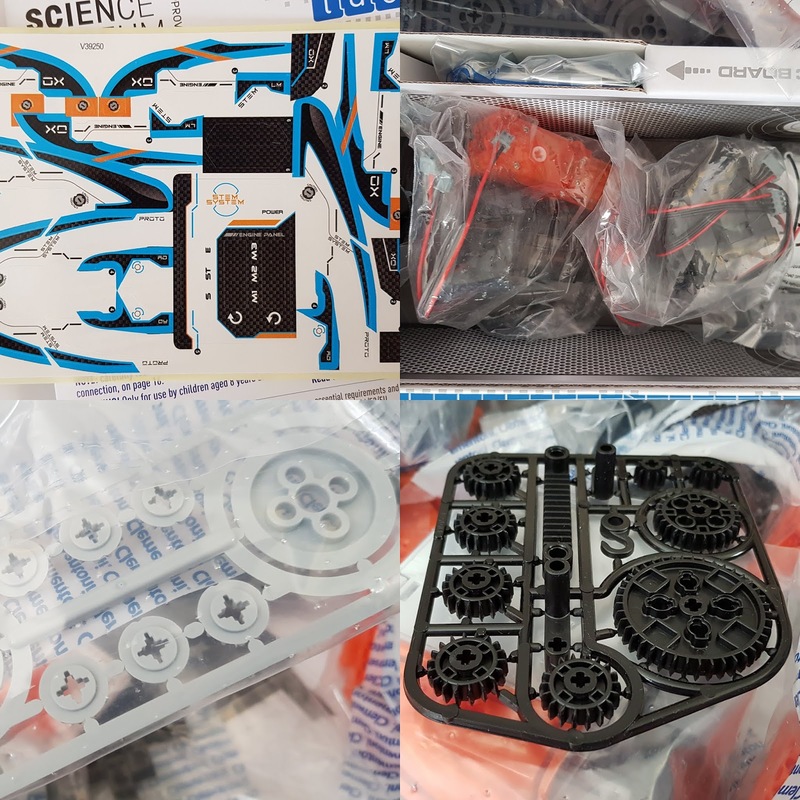 We were sent our sets for review. *Amazon links are affiliate, which means I earn a few pence every time you buy through my link, but you don't pay any more. I'm saving up for the entire range of robot sets and then I'm taking over the world...muhahaha. Or I'll save up and buy cat food probably.